The text on the left is from a t-shirt that can be purchased here. I have seen it going round on the internet among my many creative friends. And rightfully so. I know many of them have a hard time making ends meet doing what they love and what they do best. But there is an alternate strategy to follow as a musician. One that I personally follow. And I’m not alone. In the Dutch news paper NRC.next of July 28th (the one with their Lowlands supplement) there was a front-page article titled “Rock Star looking for part time job“. You can read the whole paper including the article here in Dutch (page 4 and 5 of the regular edition). The simple truth is that very little musicians in The Netherlands can pay the bills with just rawking out. Only big stars with a broad appeal and their face on tv regularly can actually make a living with it. Professional, trained musicians will often have teaching jobs in music or do a lot of session work (for the aforementioned big stars and their labels). But many indie artists will have a job on the side or more usually, they have a day job that pays the bills and making music is something that makes them an extra buck. Even though they would rather be doing that alone. You can’t get rich making music, let alone earn a living. But there’s an immense freedom in accepting you will not make (much) money from what you love doing. It means you can do whatever you want, without fear of ending up in the gutter. You don’t have to please others for their money. 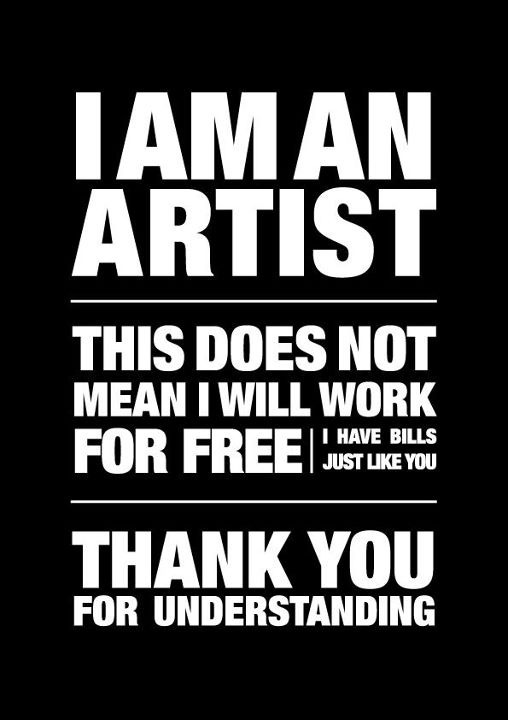 Plus I take pride in the fact that I have skills outside music that some one is willing to pay me for. It does mean however that your productive out will be lower than most artists and you will have to plan your spare time more carefully. Or simply work less so you can spend more time on what you love doing. I did that. And it was the best choice I ever made. I’m not saying this will work for any creative endeavour, but you can invest on growing into a skilled artist who makes the art he/she wants and still live comfortably. Your audience will be smaller, your means a bit more limited, but the possibilities endless. You’re creative, figure it out! 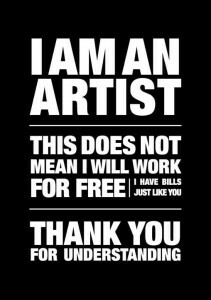 But please, if you ever run into some one who does work as a professional artist and is dependent on the money, please pay them. Pay them well. Or do something equally awesome (and of the same value) for them in return.